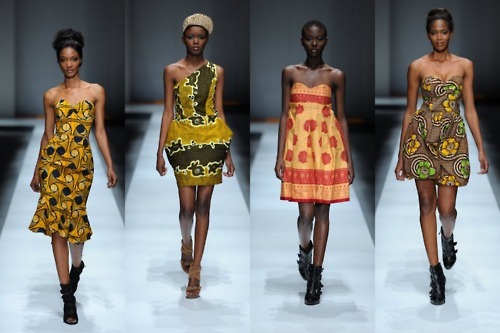 Textiles are the most representative symbol of the globalization of African fashion (Rovine 2014). A young generation of stylists and designers based in various regions of the continent consistently employs them to express and export a style imbued with pan-African pride. The turn to an African-inspired aesthetic able to drive fashion’s regeneration at the global level is evident in the widespread practice of cutting fabric in shreds to use as inserts, create conspicuous details, or manufacture statement accessories. This maximizes the fabric’s versatility, promoting an ensemble aesthetic of mix and match, at the same time, altering traditional African practices of wearing the fabric wrapped around the body, often, but not always, only cut in two long pieces. Occasionally, the identification of African textiles with geographical and cultural identity sparks criticism. For example, Ayo Omolewa, owner of the American label AfriTribe, avoids adopting wax fabric in his designs, observing that this stylistic choice forecloses other “options of showing ownership of being African”. This idea of ownership weaves economic and cultural concerns. The fabrics are a source of value for the national craft industries, a channel of individual expression, and a vehicle for the reproduction of a social order based in hierarchies of taste. The printed fabrics carry multiple meanings about the mood of the wearer, but also her/his status as a person of authority, of standing, and of means. Lately, as African-inspired fashion reaches out to a larger consumer base, the textiles have been deployed to assert, in a visual and material way, a cosmopolitan attitude that reconciles modernity and ‘Africanness’ according to taste and presentation, more than roots or ideology. And as the socio-cultural value of the textiles increases, so does its monetary worth. Last week AlJazeera posted a video about the negative effects that the sale of fake imports, aka fancy prints, are having on the economy of Ghana. Production, import, and sale of African prints, as they are generally called, is a core element of West African dress culture with a great impact on national and regional economies. Ghanaian textile producers lament that the imitations (most likely made in Asia [Sylvanus 2013]) have caused production to drop to “one quarter” of what it was five years ago and that their bad quality erodes the credibility/market value of the original designs they copy and the dividends that “creativity” is expected to generate. The concern with preserving authenticity is also directly associated with the cultural and ethnic policies of the government that regards the fabrics as a symbol of national identity. Since “Friday wear” was introduced to invite Ghanaians to dress in traditional fashion at least once a week, the fabrics have become a badge of citizenship and conscious differentiation from Western models. Conscious spending is recoded as an act of cultural awareness. The initiative is not unlike the one promoted by K. Nkrumah and CPP activists in the post-independence decade, which mobilized dress to define and police the boundaries of a national Ghanaian identity of ‘civilized’ subjects (Allman 2004). 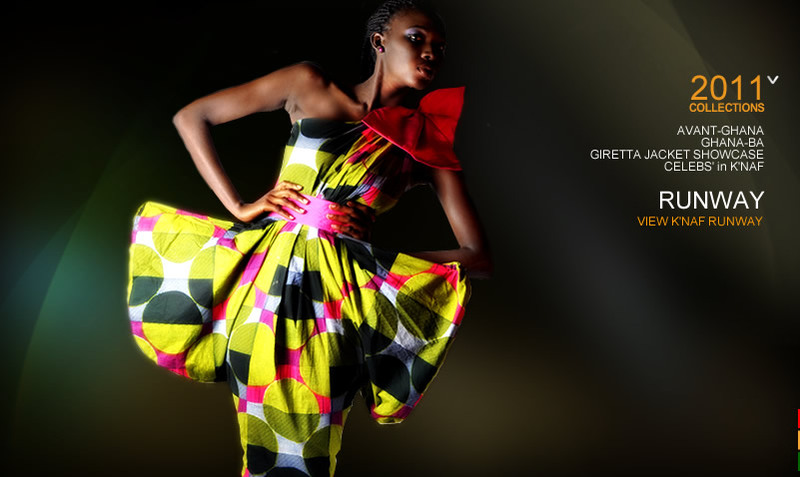 Individualism and uniqueness are the driving forces of the “entanglement of commerce and the production of cultural difference” (76) that Christine Delhaye and Rhoda Woets (via Comaroff and Comaroff 2009) read into Ghanaian fashion “ethnopreneurialism” (2015). Far from relying on protectionism, the investment of the Ghanaian fashion industry into ethnicity depends on the import of foreign brands. The authors write that “new forms of ethnicity” (77) are incessantly fashioned at both the high- and low-ends of the market by designers who use locally produced prints (amounting to 25% of the national market) as well as Vlisco cloth, a variety of wax print, or ankara, fabric manufactured in the Netherlands. 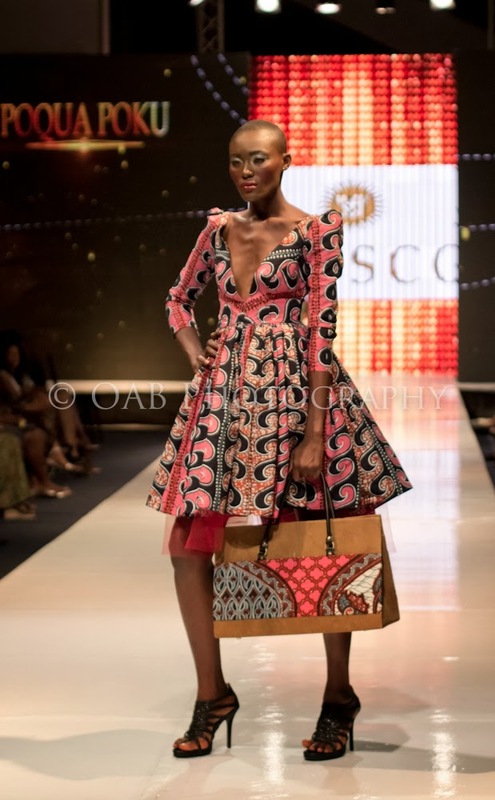 As opposed to Asian fancy prints, Vlisco is a welcome import and protagonist of the local fashion industry. Ghanaian designers employ it produce a desirable difference that channels collective and individual statements about being African in the 21st century. Nina Sylvanus (2007; 2013) observes that the brand is so embedded in West African culture to be considered its symbol. She maintains that its integration is due to the processes of renaming or “nostrification” that the fabric undergoes in its market evolution from design (made in the Neatherlands) to raw material (shipped to West Africa and traded via informal networks of African female sellers) to finished fashion product (mostly locally-made). “The fabric simultaneously loses and integrates its twofold foreign ‘origins’ […] as a result of the transformation processes through which initial signifiers are reconfigured into new signifiers, thereby transcending the notion of the origins” (2007: 211-12). Binding is a positive response to the aesthetic choices of Ghanaian stylists and to their vision of Africanity as something that mixes tradition and innovation in a dynamic, refreshing, and creative way. “Fashion designers do not fully engage with the rather fixed, limited and moral-heritage repertoire as promoted by the state in cultural policies, cultural festivals and schoolbooks. They are not interested in historical accuracy or moral messages, for example, but all the more in developing aesthetic styles and playful designs that take inspiration from ‘heritage’ repertoires but also depart from them” (2015:90). Since tradition and traditional trends are not automatically desirable to consumers, fabrics acquire increased value if a brand is able to promote them as vehicles of modernization and self-expression. Both Vlisco and Ghanaian producers code the importance of buying authentic prints as an investment in the self; ‘playfulness’ and the freedom to express Afropolitanism to its fullest are available only to customers who chose quality fabric. Comaroff, J., & Comaroff, J., Ethnicity Inc. (Chicago and London: The University of Chicago Press, 2009). Delhaye, C., & Woets, R. “The commodification of ethnicity: Vlisco fabrics and wax cloth fashion in Ghana”, International journal of fashion studies, 2:1 (2015): 77-97. Rovine, V. L. African Fashion, Global Style: Histories, Innovations, and Ideas You Can Wear (Bloomington: Indiana University Press, 2014).